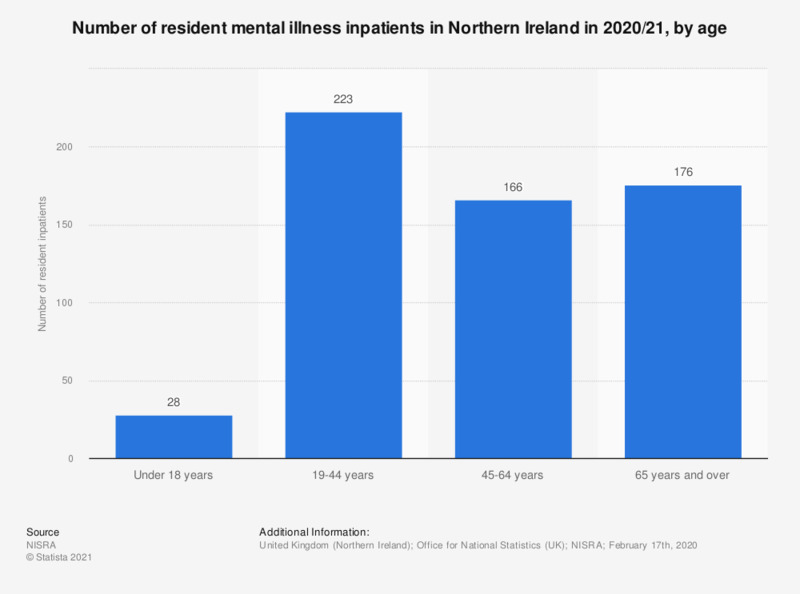 This statistic displays the number of mental illness inpatients resident in Northern Ireland in 2017/18, by age. In this year 239 individuals aged between 19 and 44 years old were resident with a mental illness in Northern Ireland. Resident at February 17th, 2017.